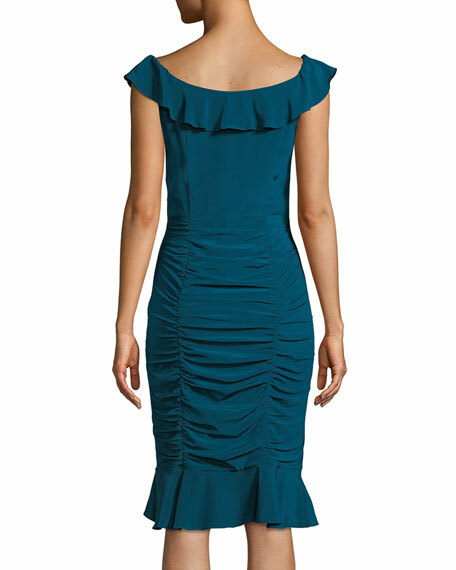 Nanette Lepore "Sunset" dress in ruched silk. 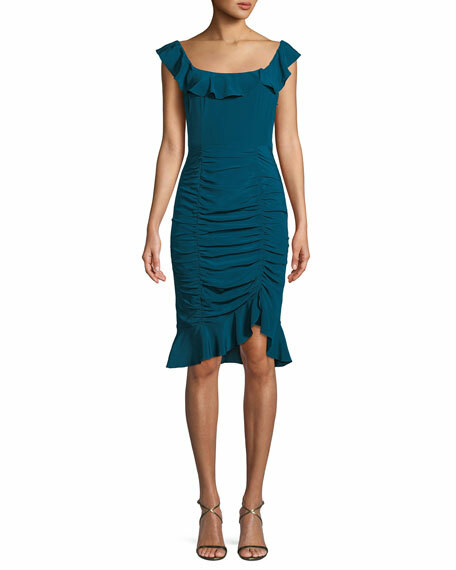 American designer Nanette Lepore debuted her self-named collection in 1992. Her novel approach to femininity incorporates an element of bohemian elan that's been elevated to ladylike perfection.